I got involved into a new (new for me) type of art – The Art of Reborning, when you take a blank vinyl and paint it into realistic looking baby doll. I am doing the best that I can given my current reborning beginner skill level and I am striving to learn more and achieve more and more realistic results with each new baby that I reborn. I take pride in my creations because of the high level of attention to detail and a lot of work done under a magnifying glass. I am ‘infusing’ my babies with positive vibes and happiness as the reborning process of turning a blank vinyl into a ‘baby’ brings me lots of joy. 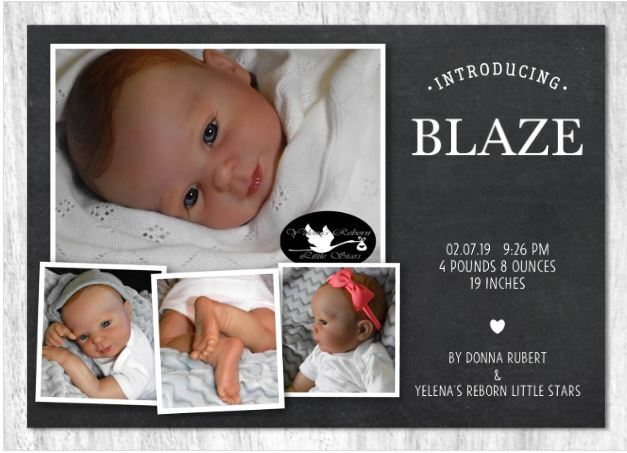 Please note that you can only contact me from reborns.com site if you would like to adopt this reborn doll.